Looking to spend a weekend exploring Northern France? Just accross the Channel, France is at your doorstep. Wherever you go in Northern France, there's always someone ready to share their favourite places to visit. 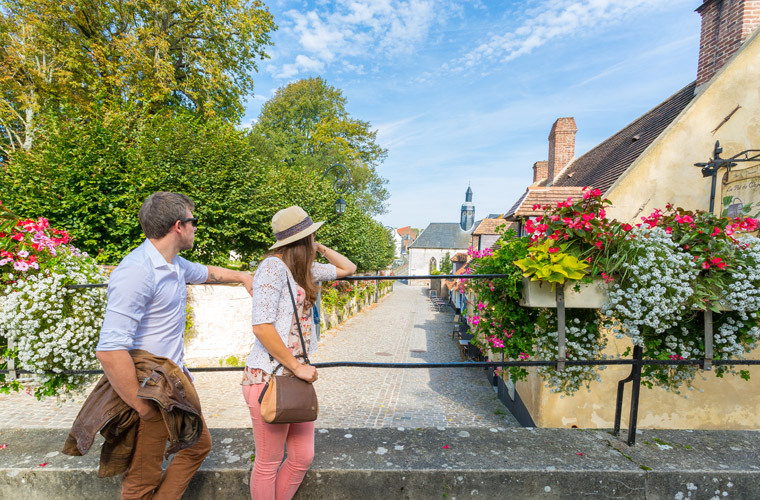 When spending a weekend in Northern France, you are sure to encounter such people who are passionate about their region and only too delighted to assist you in discovering its pleasures or exploring it in a new way. Need some inspiration for your visit in Northern France? We have plenty of ideas for you! Calais and its lace museum (the Calais lace so dear to Kate Middleton), Lille and its famous "Vieux Lille" (old Lille) district, Arras and its Louvre-Lens, Boulogne sur Mer and its national centre for the sea called "Nausicaa", Laon – cherished by Victor Hugo –, Chantilly and its château, Amiens and its cathedral, the Somme Bay and its seals: here is a preview of the towns to be discovered in Northern France! Between Lille and Paris, the town of Amiens is a jewel that is worth exploring over a weekend in the Somme department! 2hrs from Calais and 1hr from Reims, the town of Laon is a jewel that is worth exploring over a weekend in the Aisne department! Just 1hr 15mins from Calais and near to the A16 motorway, Saint Valery sur Somme is a delightful seaside resort overlooking the Somme Bay. Senlis is a town of the Oise department, located 30 minutes from Paris and 2hrs 15mins from Calais.